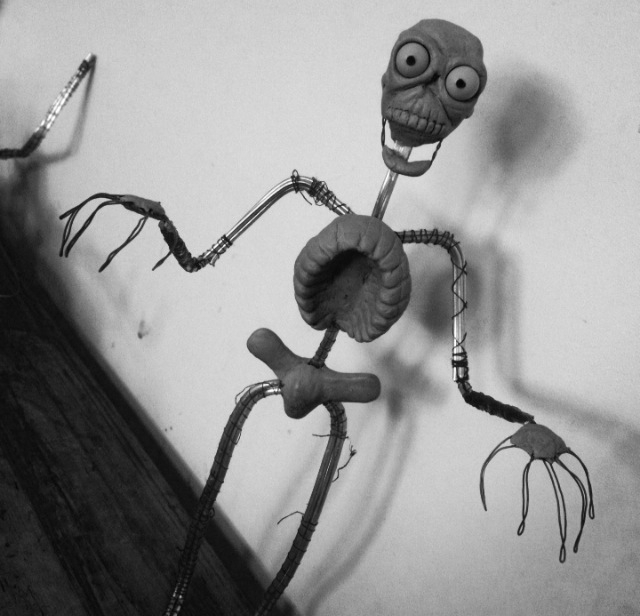 February 2015 in Stop Motion Animation with the Chiodo Bros.
My Zombie puppet armature is done! I am having so much fun with this class! 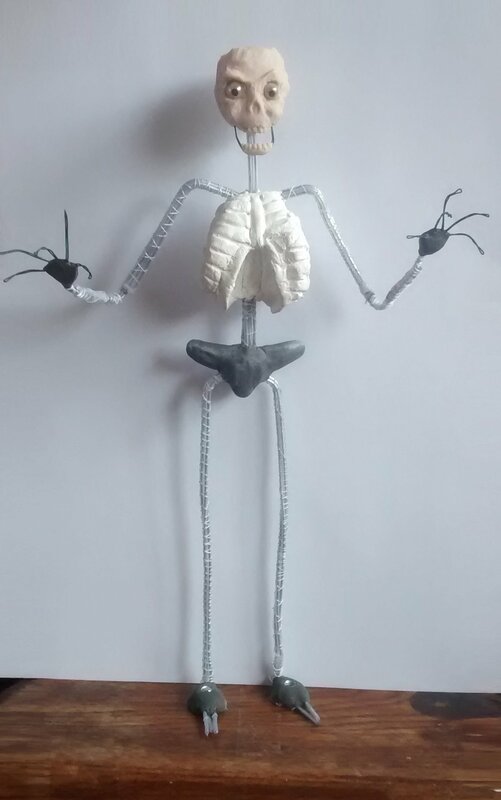 I made my armature out of that plastic covered wire they use for toy packaging ties. I did this because I have a lot of it, and also I thought it might make the puppet more durable in terms of the wire being less likely to break. I do think it will effect the animation as the wire does have some of that bounce back that was talked about, but it makes it a more durable toy I can give to someone that they could then have fun with posing it. I am also thinking the legs are a bit weak and could have done with an extra wire. Would it be a good idea to add one now? If so where would the best place be to start and stop it? Or should I just leave it as is, as he can stand on his own no problem? 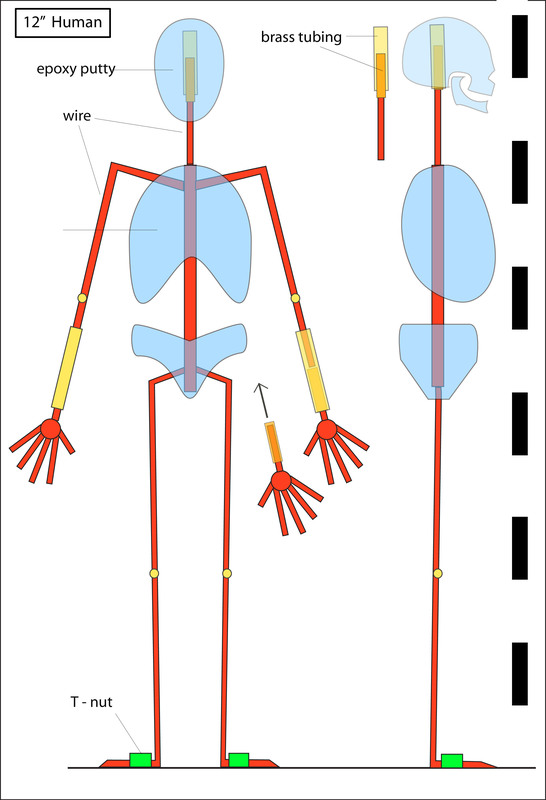 Your armature looks amazing, great job!